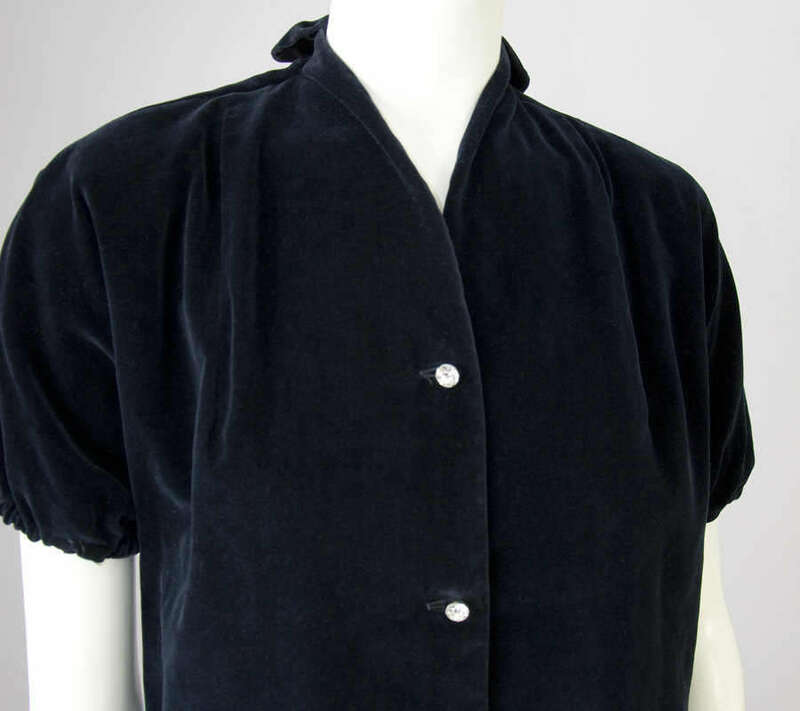 Vintage velvet blouse. Deep bluish black color. 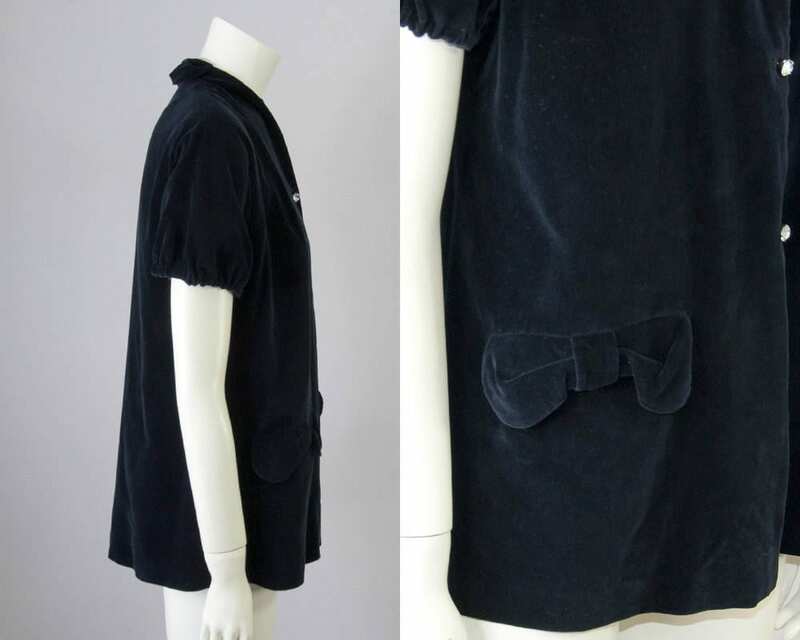 Bow front pocket flaps (functional pockets) and at the back neck. Rhinestone buttons down the front. 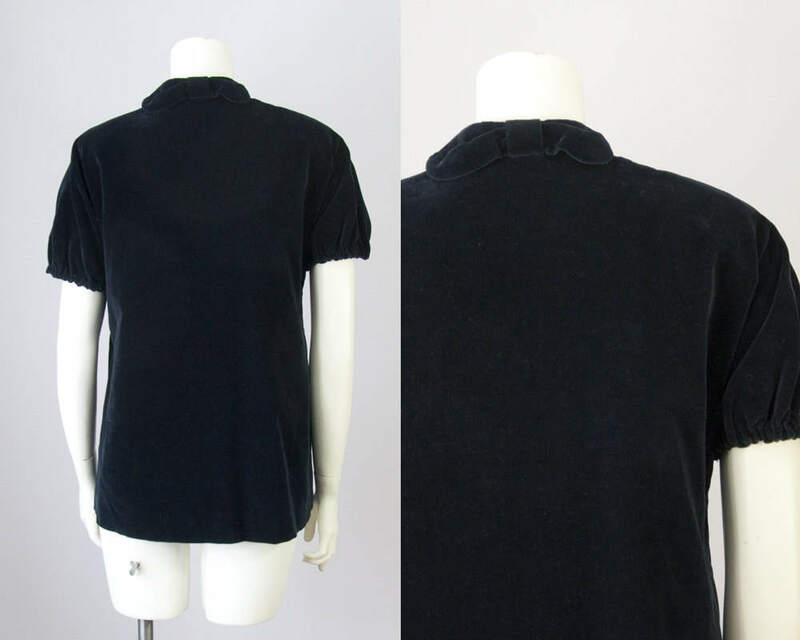 Short sleeve with elastic band. Shoulder pads. Feels like a cotton velvet. 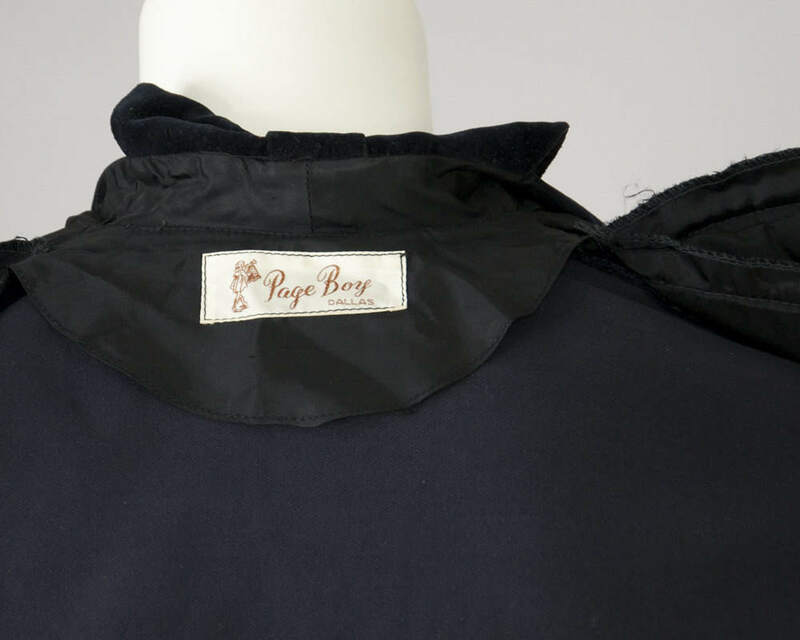 Page Boy Dallas was a maternity line established in 1938. 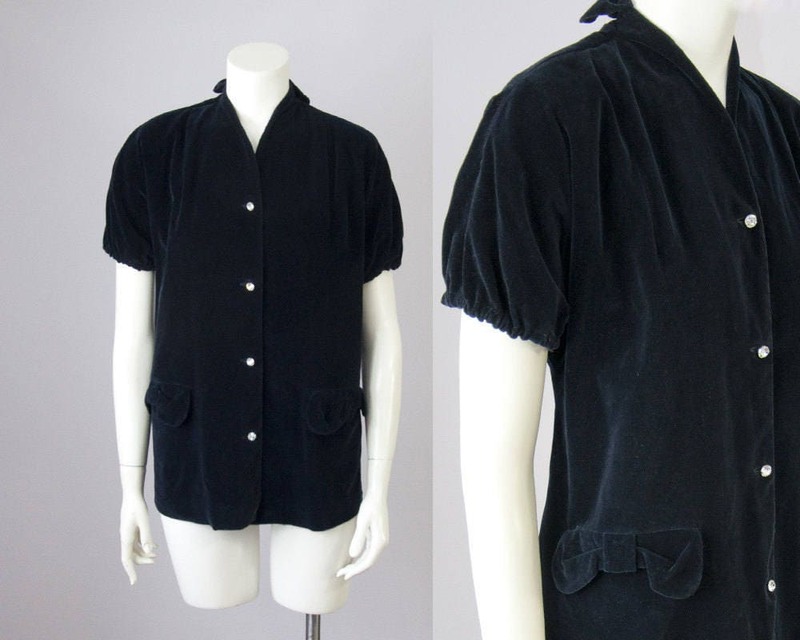 The blouse is cut full through the body, like a trapeze cut, but does not have to be maternity wear. Please note some photos have been lightened to show detail. This blouse has been professionally dry cleaned. Modern Size: Medium, Large, XL depending on desired fit -- Review measurements below to ensure a great fit. Fabric Content: n/a, best guess cotton velvet.